Provides students as well as lecturers with an international Reader focusing on the evolving economic geography of the advanced capitalist economies of Europe, North America, and the Pacific Rim within the framework of economic globalisation. It gives readers an easily accessible collection of some of the most important papers published in this dynamic discipline. The book spans the economic geographies of globalisation, new spaces of production and consumption, new landscapes of work and the restucturing of welfare, and includes a specially written introductory chapter, section overviews, and suggested further reading. 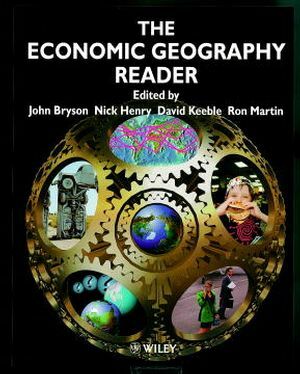 An important statement on economic geography today, this book provides an indispensable resource for undergraduates in economic geography, regional economics and other related social sciences. John Bryson and Nick Henry are both Lecturers in Economic Geography at the University of Birmingham. David Keeble is Lecturer in Economic Geography and Ron Martin is Reader in Economic Geography at the University of Cambridge. THE ECONOMY IN TRANSITION: GLOBALIZATION AND BEYOND? The Globalization Debate and the Transformation of Capitalism. The Rise of New Capitalisms. Reworking the Division of Labour. Introduction: Consumption, Geography and Identity. Pick 'N' Mix: The Commodification of Identity.